Here are some photos of my first knitted project. My husband signed me up for my first knitting class at a local yarn store and this is the project we made. I have not stopped knitting since. I was given a generic pattern for this clutch so I don’t have a site to find the pattern. The first one is before I washed it. 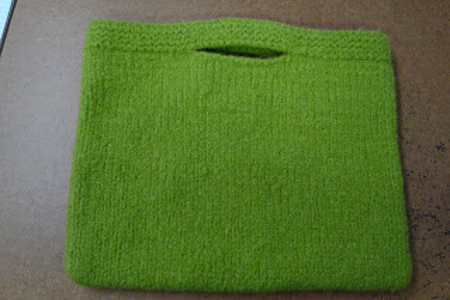 The second one is the felted purse after washing. 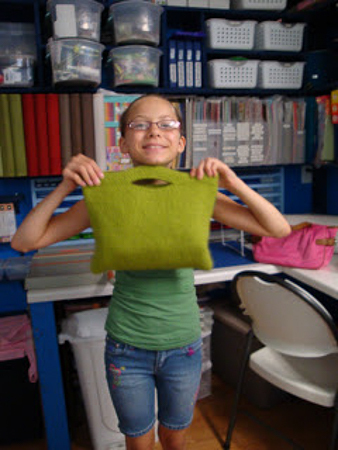 The third one is of Madison enjoying the purse I made for her. I was so excited by how it turned out. I didn’t think it would look that nice. 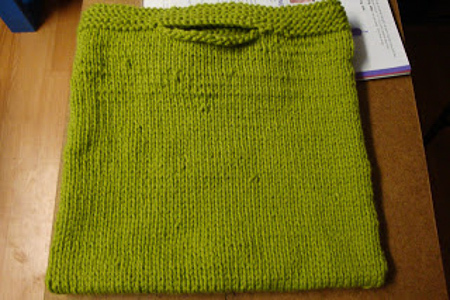 My 2nd project is going to be making a little sweater. I am making a small one that should be a little larger than Madison’s American Girl Doll. Hopefully I will be just as happy with the results of that project. Next Post FIRST DAY OF SCHOOL!